As a growing number of U.S. cities make pledges towards 100 percent renewables, it’s easy to forget that the entire state of Hawaii set this important benchmark three years ago when it mandated that all of its electricity must come from renewable sources no later than 2045. To help the Aloha State meet this ambitious commitment, in 2015, the University of Hawaii (UH) and the Hawaiian Legislature set a collective goal for the university system to be “net-zero” by Jan. 1, 2035, which means the total amount of energy consumed is equal to the amount of renewable energy created. 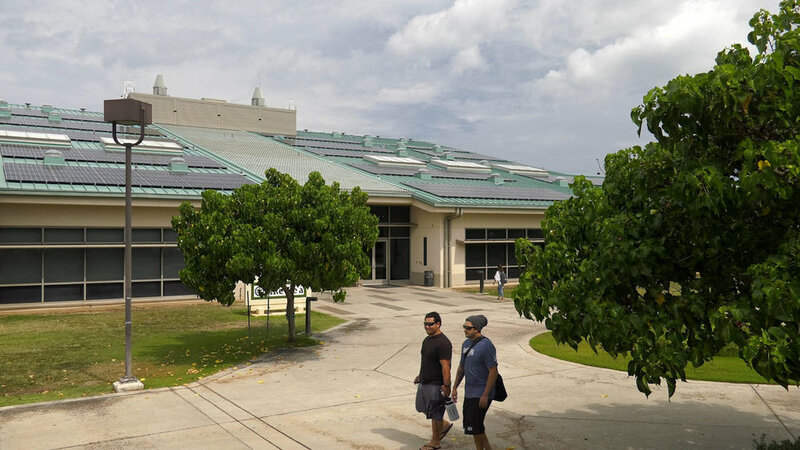 Now, UH’s Maui College is on its way to become the first campus in the United States to transition off fossil fuels by using on-site solar systems coupled with battery storage, university officials announced. The campus’ solar-plus-storage project—consisting of 2.8 megawatts of solar PV and 13.2 megawatt-hours of battery distributed energy storage—is scheduled to become fully operational by 2019. The project is part of a partnership with Johnson Controls, which developed the systems, and Pacific Current, a subsidiary of Hawaiian Electric Industries.